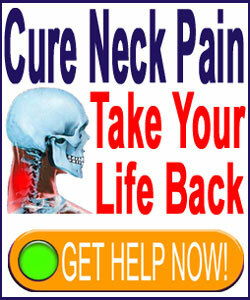 Many patients write to us asking how to relieve neck pain. In fact, this is the most common question we receive on Neck-Pain-Treatment.Org. We wish we could provide a universal answer that would magically make every patient’s pain suddenly and completely resolve. However, this is not possible, since neck pain is a highly case-specific condition that can be caused by a wide range of possible causes. 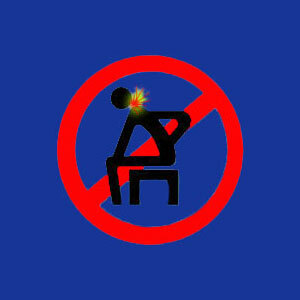 Treatments that work excellent for one source of pain will be completely ineffectual for other causes. This being said, there are still guidelines that every patient should follow in order to optimize their hopes for achieving true and enduring relief from their pain. This checklist is universal and should be used by every patient who is on a quest to find a true cure from neck pain or virtually any health issue, for that matter. This patient guide provides step-by-step instructions on navigating the diagnostic and treatment sectors of the back and neck pain sector of medicine. We will provide advice based on decades of education, research and advocacy in the chronic pain arena that can be easily understood and applied by every patient who is currently suffering from neck symptoms. The first step in finding relief from neck pain is achieving a correct diagnosis. Although this seems like common sense, it is also the step when most patients go off track when seeking care. The vast majority of neck pain complaints are misdiagnosed. This is particularly true when diagnostic imaging is performed and used to convince a patient that what amounts to perfectly normal spinal aging is the reason why they have pain. Virtually every adult will demonstrate degenerative disc disease in the cervical spine. They will also display some degree of spinal osteoarthritis, including the reduction in the protective tissues surrounding the joints and the growth of osteophytes on the vertebral bodies and spinal joint components. The majority of adults will demonstrate one or more herniated discs in the cervical spine. Facet joint deterioration is also extremely commonplace. None of these conditions are inherently painful or pathological, despite the popular misconception fostered by less enlightened doctors decades ago. Some patients will display uncommon cervical spondylolisthesis or rare cervical scoliosis. Far more often, abnormalities in the lordotic curvature will be present and all of these conditions are commonly blamed for being the origin of pain. As before, there is no scientific evidence that these conditions are inherently painful or problematic. All of these conditions, as well as many more, can be the true source of neck pain, but none must definitively be the true source. What this means is that a minority of the above sample of structural abnormalities may indeed be painful, while most are incidental to pain that might exist. How do you know which category your diagnosis falls into? For the complete answer to this vital question, we highly recommend reading all the resource essays in our neck pain diagnosis section. Once a correct, objective diagnosis has been made and verified, then and only then is it safe to proceed into treatment. Moving forward into therapy prematurely is a terrible mistake and explains why most neck pain treatments fail miserably, including the most serious and invasive, such as neck surgery. Treatment falls into 2 main varieties: symptom-based care and curative care. If you want to truly end neck pain, then you must veer towards curative care, since symptomatic therapy will never resolve the underlying cause of the pain. In the modern healthcare industry, the vast majority of treatments are symptomatic in nature. Symptom-based practices are considered substandard treatments and have been instituted mostly due to their profitability, rather than their efficacy. Treatment is not even necessary for many diagnosed pain problems. In fact, statistics gathered over many decades of clinical medical practice clearly show that people who do not seek treatment for pain rarely end up with chronic discomfort. Meanwhile, people who do pursue medical treatment are far more likely to suffer continuing pain and eventual surgery. These are incredibly terrifying statistics to be sure and certainly help patients to understand how improper diagnosis is at the heart of most chronic pain issues. Furthermore, since medical treatment rarely confronts the fact that many enduring pain syndromes are mindbody in nature, doctors are powerless to stop these common types of complaints. After all, pain that originates in the mind must be treated there and no physical treatment will provide any lasting benefit, as proven time and time again in the writings of Dr. John E. Sarno and his many, many medical followers. If this essay provides more questions than it answers, then we have been successful in our attempt to provide you with the information you need to recover from neck pain. Questions form the basis or knowledge, as long as they are pursued to find answers that make logical sense. Therefore, we highly encourage you to explore the ideas found in this discussion and research these topics further. We provide a detailed resource about the problems associated with neck pain treatment on this very website, so all you need do is to read the links that come off this page to fully understand this frightening topic in full. Learn. Learn all you can about your pain and why the diagnosis rendered often does not make any logical sense. If the diagnosis is not sound, then no treatment targeting this diagnosis will ever work. If you have already tried many types of care without success, then we are telling you something you already know. If you have not moved forward into treatment yet and are nervous, then you are already ahead of the pack. Learn now before making mistakes that might cost you your health, your ability to work and maybe even your life, just so that doctors can continue to make money at any human cost.